Pall Mall is derived from the game ‘paille-maille’ which was a ball and mallet game played on a grass alley. 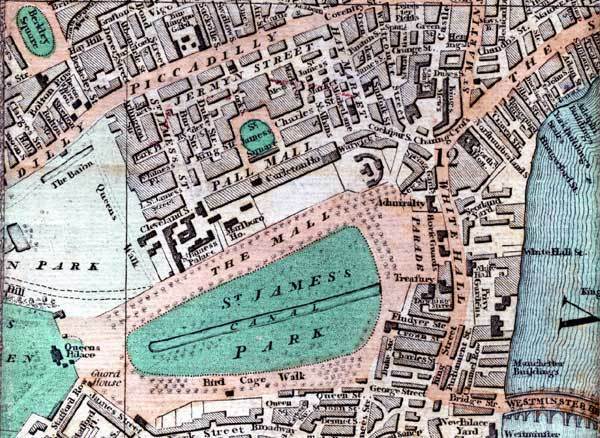 A court was laid out in 1630 in St James’s Fields (later Pall Mall Fields), and possibly along the line of the street. 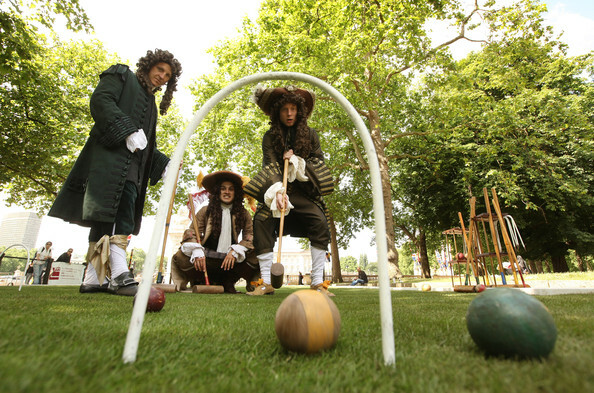 It was of course for the entertainment of the court at St James’s and the courtiers; was it croquet by another name? Pall Mall was laid out in its present form in 1661, replacing a road which had probably been here since Saxon times. 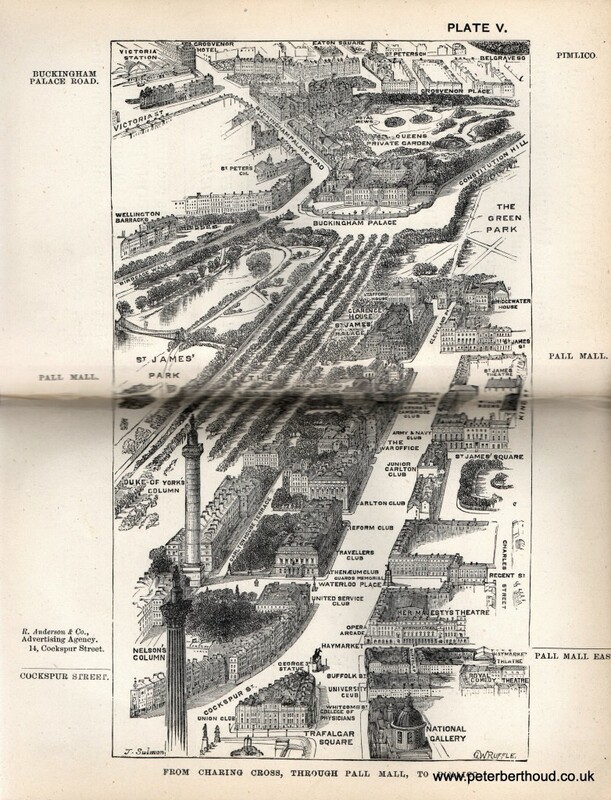 There was apparently no hesitation in removing existing buildings: ‘..the High Sheriff of Middlesex was ordered to remove ‘divers base sheddes and tentes sett up under St. James Park wall betweene Charinge Chrosse and St. James House, . . . whiche are all offensive and noe way fitt to be suffered to stand’..’! By 1862 it had become ‘..a thoroughfare full of historic interest..’, its stately mansions functioning as clubs or converted to other purposes, including trade. (Peter Berthoud’s blog gives a fascinating map, below, and good commentary as always.) 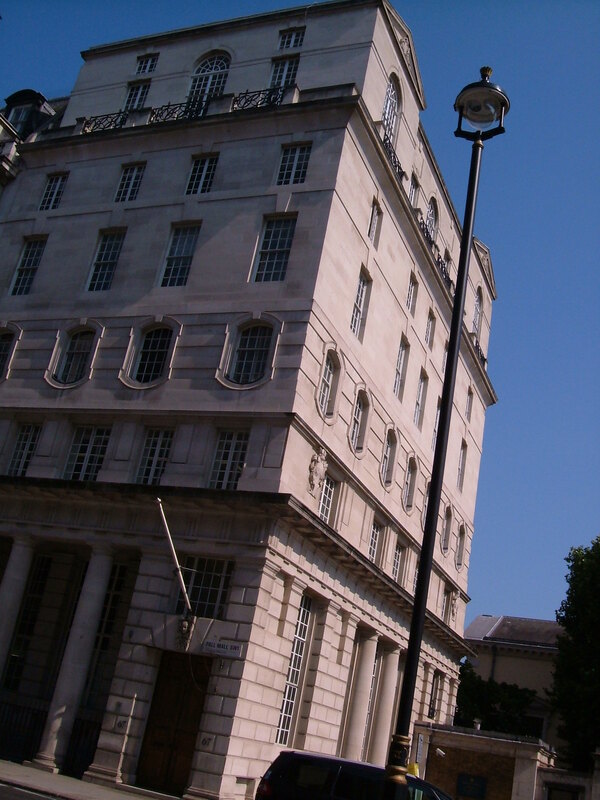 And Pall Mall was the first street to have gas lights, in a trial of 1807, and then from 1820. 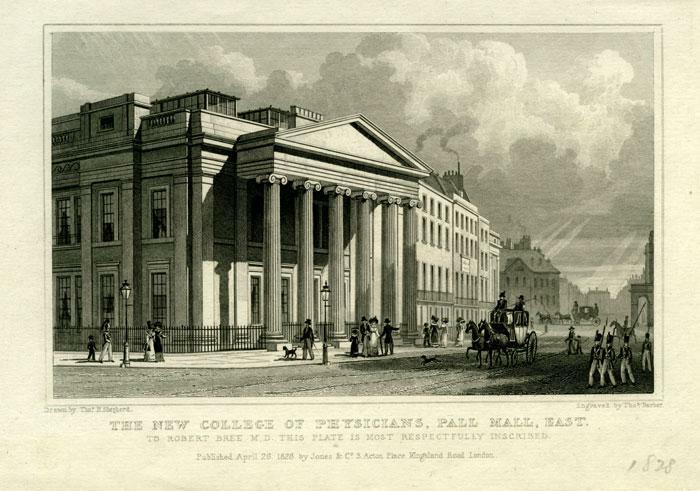 The Royal College of Physicians moved from the City to Pall Mall East when much of this area was being redeveloped by John Nash (1752-1835). 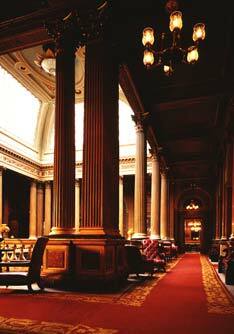 This new building, however, was designed by Robert Smirke and opened in 1825 with much pomp and ceremony. 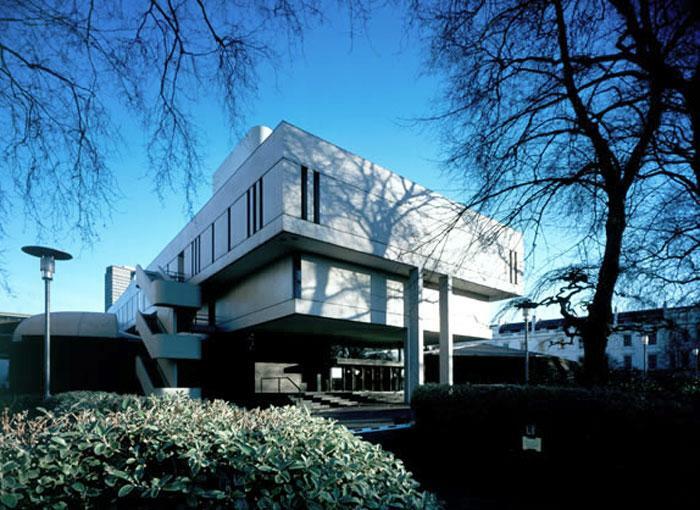 The building was sold to the Canadian High Commission in the 1920s, and the Royal College of Physicians moved to a new building, by Sir Denys Lasdun, in Regents’ Park, in 1964. Today the frontage below is surrounded by scaffolding. 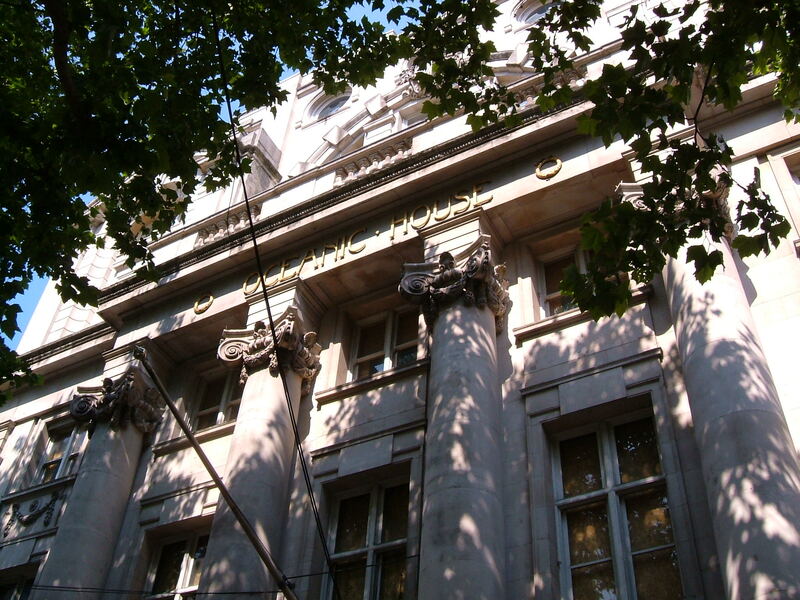 The Union Club was also housed in the Smirke building. This gentleman’s club, with 1,000 members, could apparently ‘..boast of the largest stock of good wine of any London club. Entrance fee, 31l. 10s. (and a library fee, 1l 1s. ); annual subscription, 6l. 6s…’. 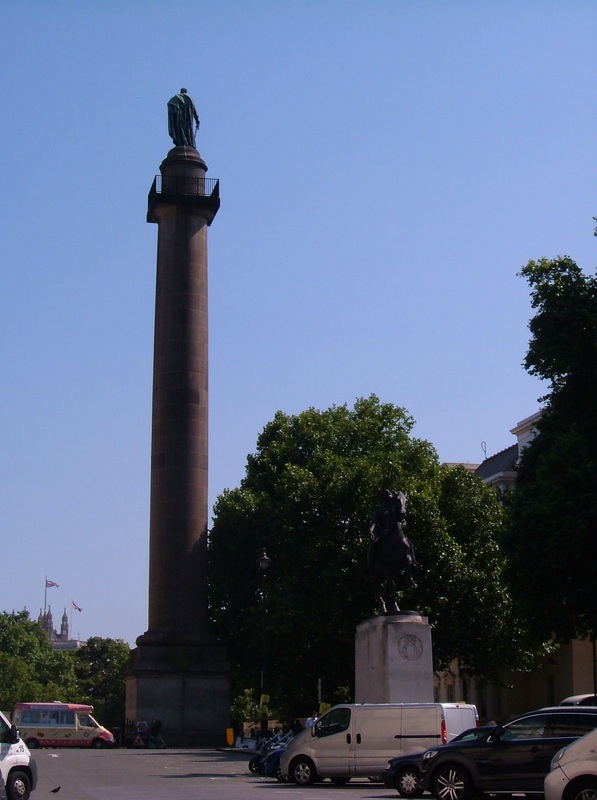 Members included the Duke of Wellington and Charles Dickens. 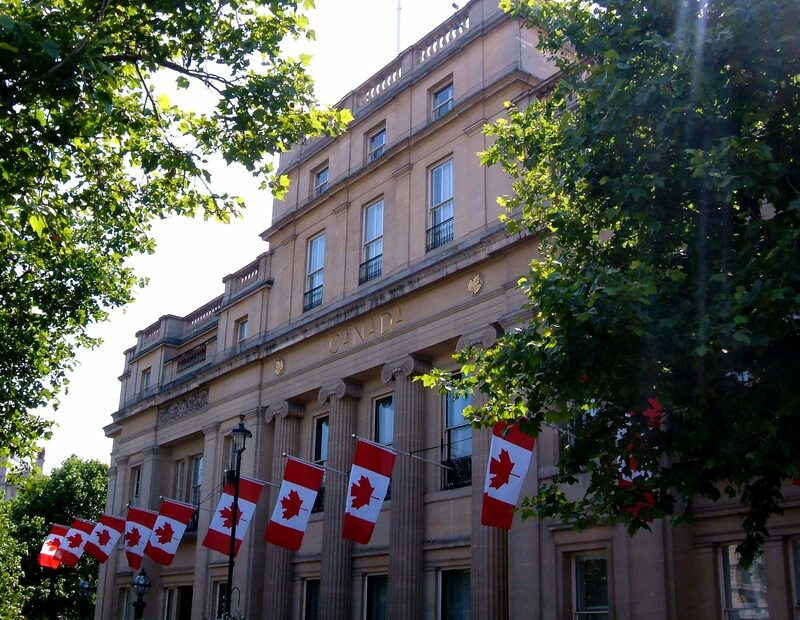 Today this part of the building, overlooking Trafalgar Square, is Canada House. 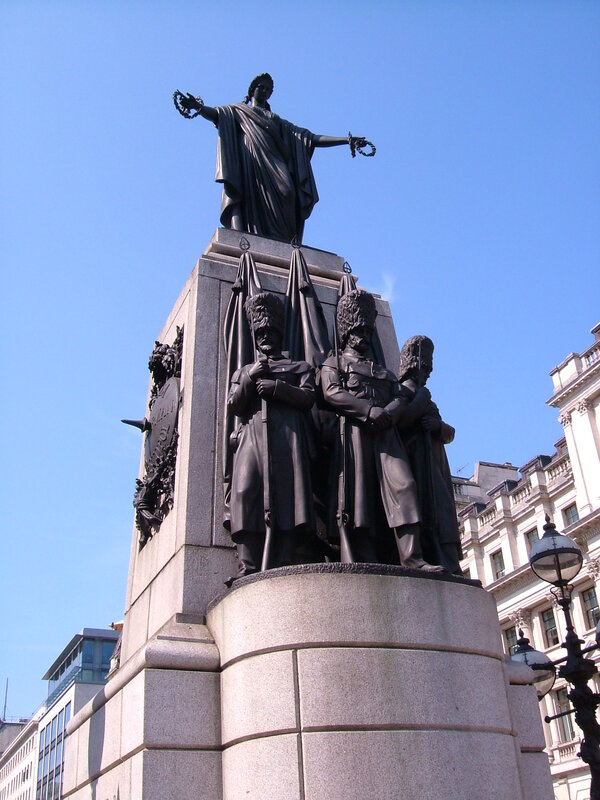 The statue of George III by Matthew Cotes Wyatt was erected in 1836 and is still in place in Cockspur Street, at the head of Pall Mall. 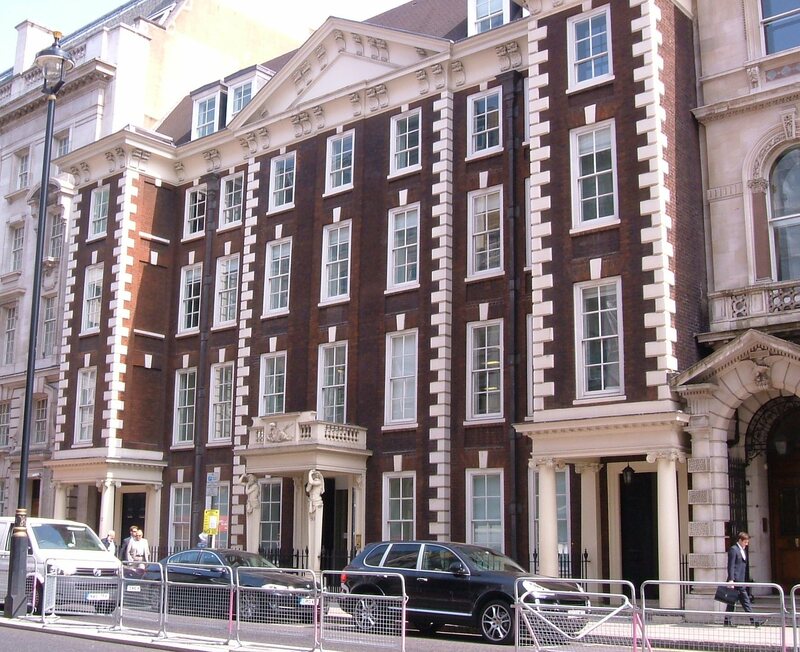 Opposite, in Suffolk Street, is the University Club House, ‘..built by Wilkins in 1824 for members of the Universities of Oxford and Cambridge..’ and functioning as such until 1971, and now the London Centre of the University of Notre Dame. 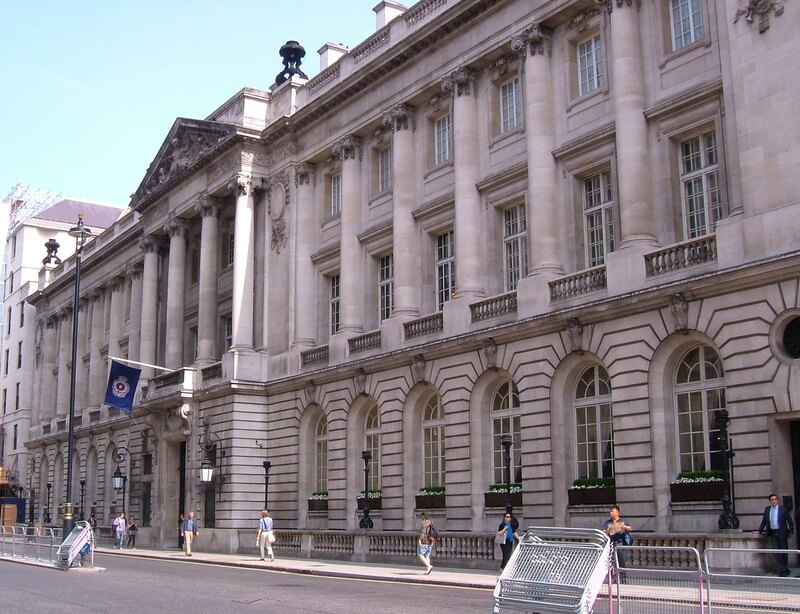 Today Pall Mall is renowned for its Club-Houses, or more accurately gentlemen’s clubs. 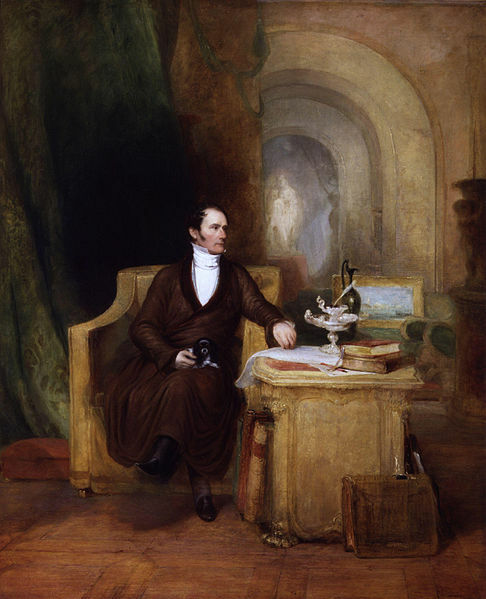 I suspect Mr Bradshaw did not entirely approve of the Clubs, ‘..those most magnificent buildings where the most distinguished members of the worlds of fashion, politics, and literature meet for the purposes of lounging away their spare hours…’, or perhaps ‘lounge’ had a different meaning for Mr Bradshaw? 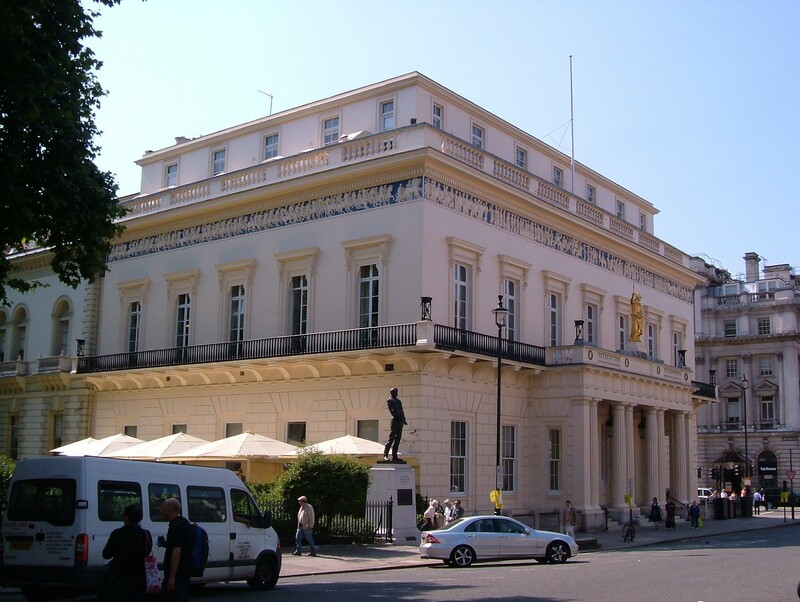 The United Services Club was built by John Nash in Roman style in 1826 on the site of the former Carlton House. It was for senior officers in the army and navy who had fought in the Napoleonic Wars, and accordingly known as ‘The Senior’. 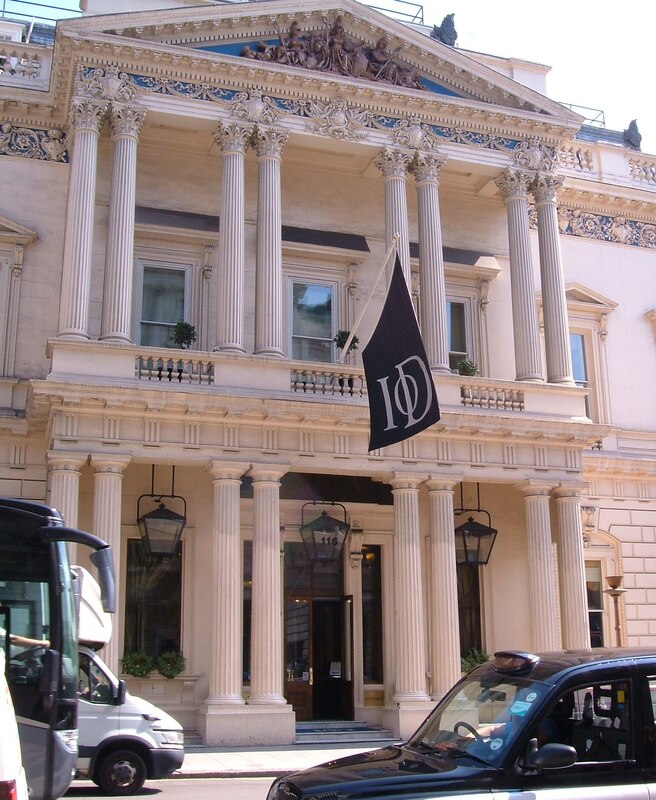 The Club was disbanded in 1978 and today the building houses the Institute of Directors, IOD, and stands at 116 Pall Mall. 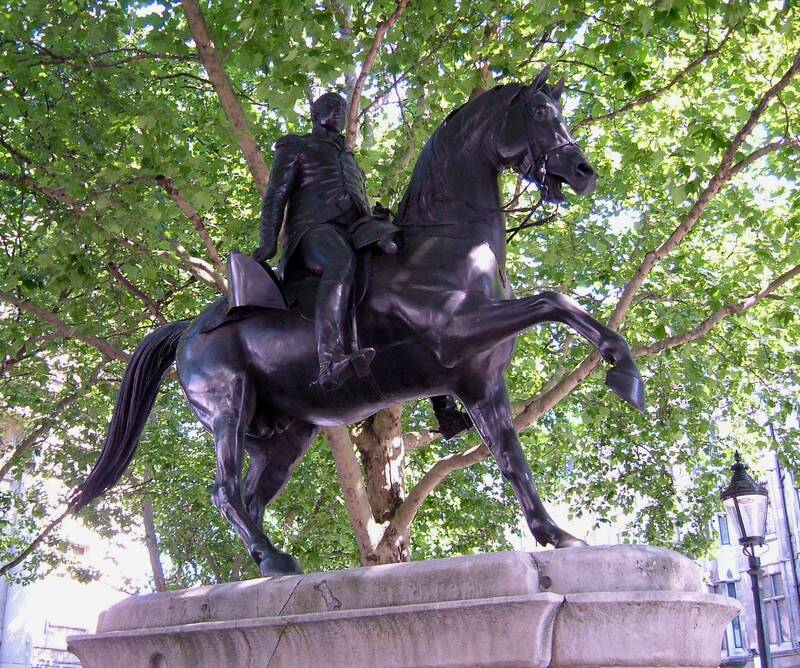 But before moving down Pall Mall we should note the statue of the Duke of York, ‘erected by public subscription in 1833’. 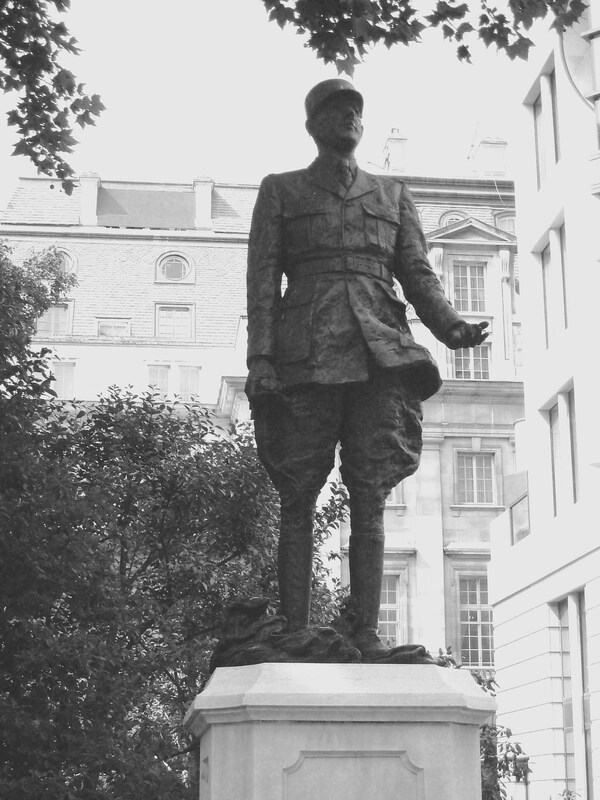 And opposite, at the bottom of Waterloo Place, ‘..the Guards’ Memorial to the officers and privates who fell in the Crimea..’. 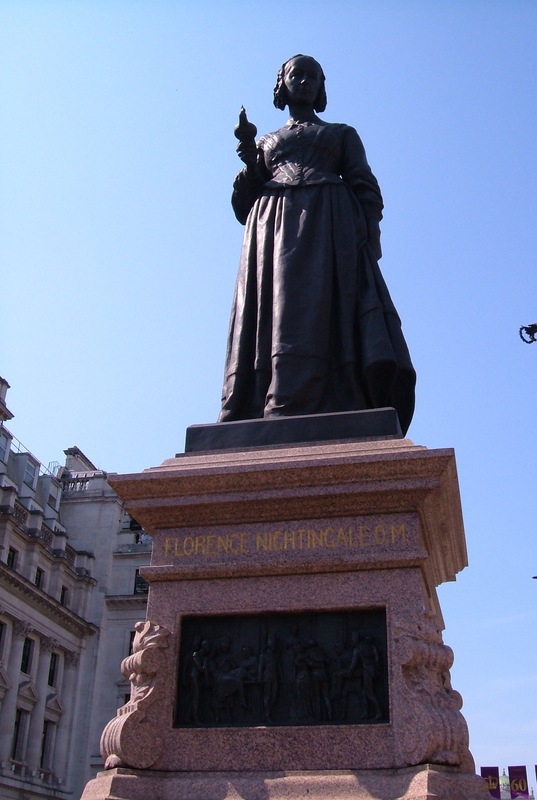 The Memorial includes a statue of Florence Nightingale. The British Empire ‘fallen’, or more accurately ‘dead’, numbered c.22,000, of which c.16,000 died of disease. The statistics at this site are shocking. 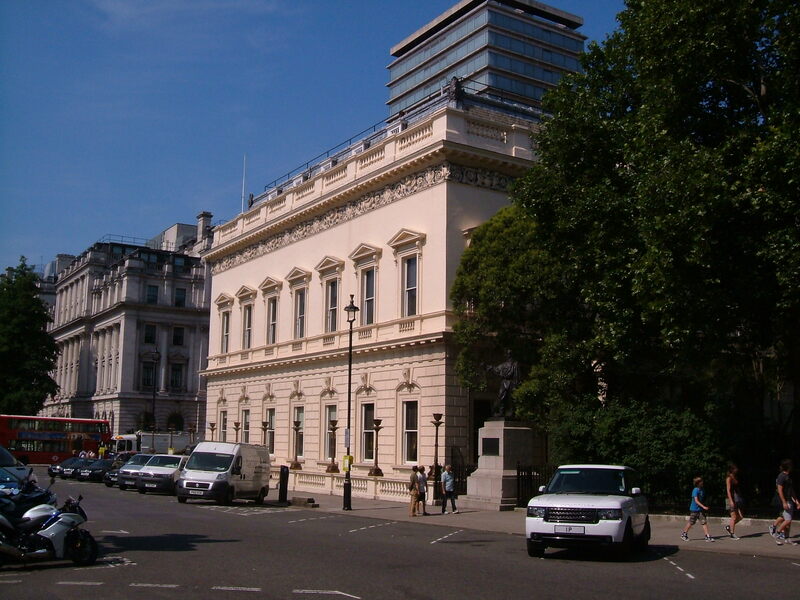 The Athenaeum Club at 107 Pall Mall was built by Decimus Burton in 1829 ; ‘..the number of members is fixed at 1,200 and they must have attained distinguished eminence in science, literature, and the arts..’, says Mr Bradshaw. 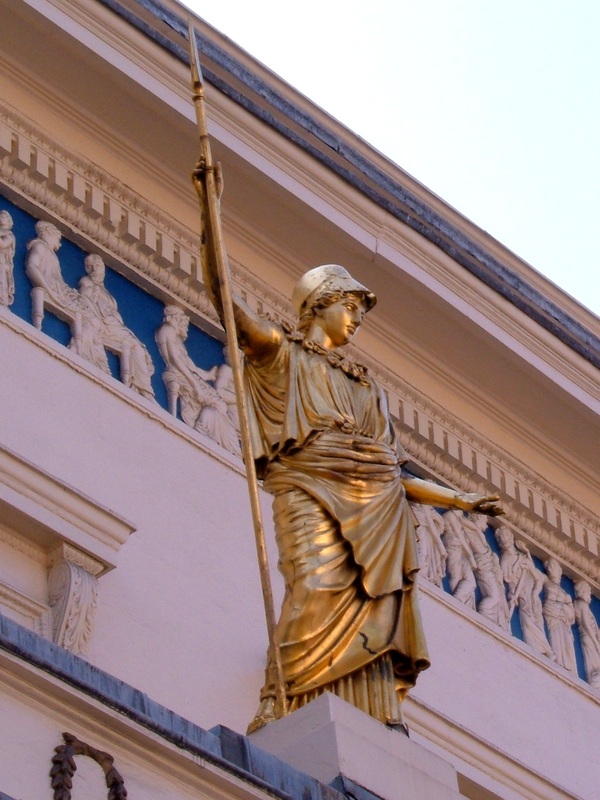 The frieze is a copy of the Parthenon, with a statue of Minerva (the Goddess of Wisdom and a sponsor of the arts), and a building which ‘..strikes a note of erudition and Grecian beauty..’, according to Pevsner. 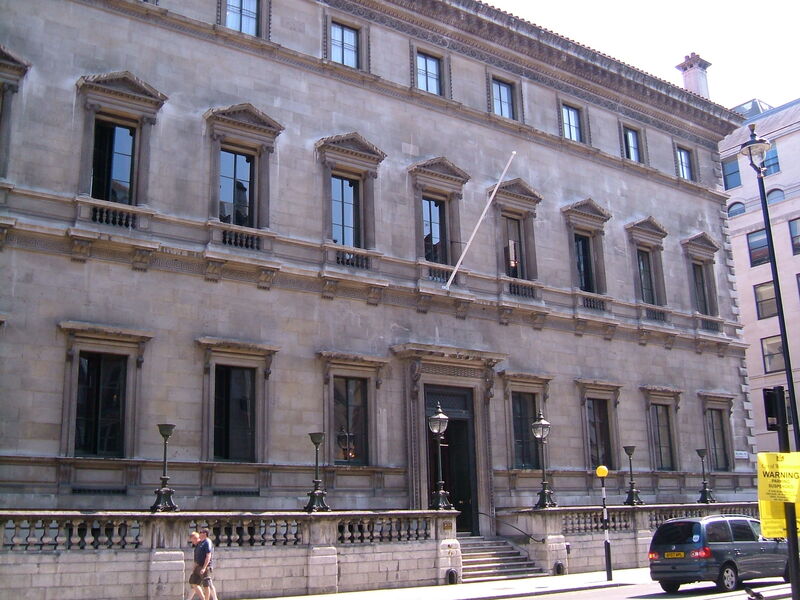 The Travellers Club, 106 Pall Mall, was founded in 1819 and moved to the current building in 1832. This was Sir Charles Barry’s first club and was inspired by the Palazzo Pandolfini, Florence. 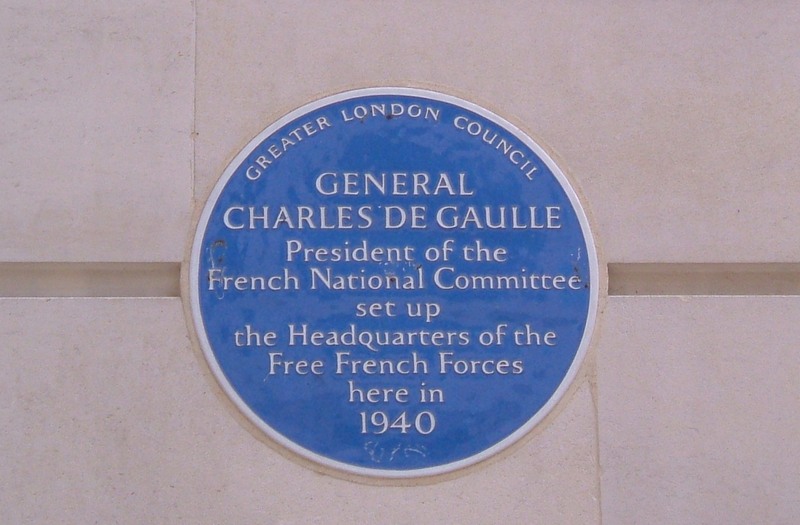 The aim was to provide a meeting place for ‘..gentlemen who had travelled abroad, their foreign visitors, and diplomats posted in London..’. In a street of large, weighty constructions this is a surprisingly modest building. 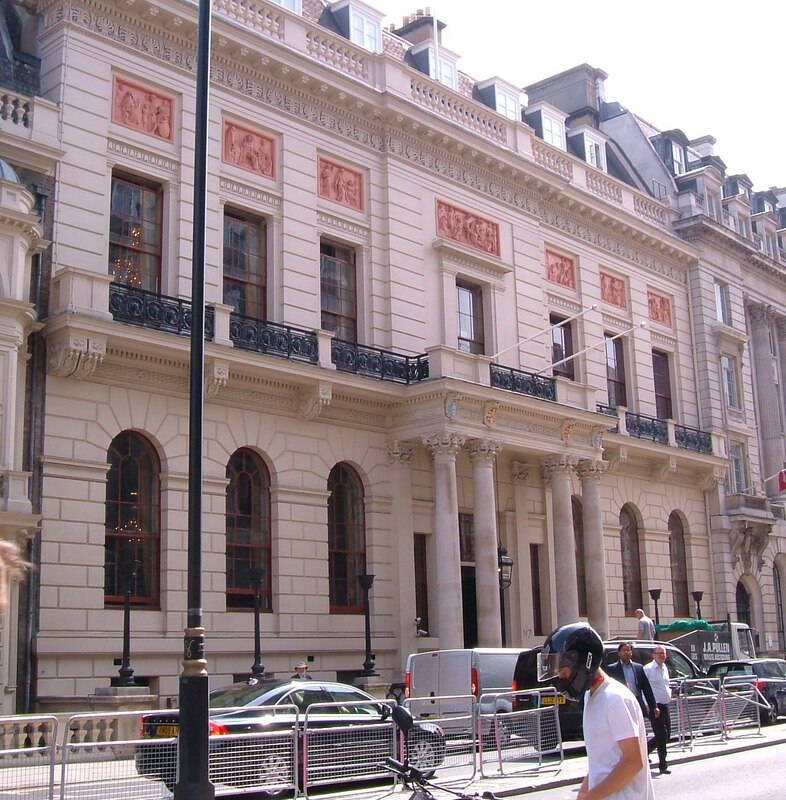 The Carlton Club was founded in 1832 by Conservative MPs, Peers, and gentlemen after the party’s defeat over the first Reform Act. 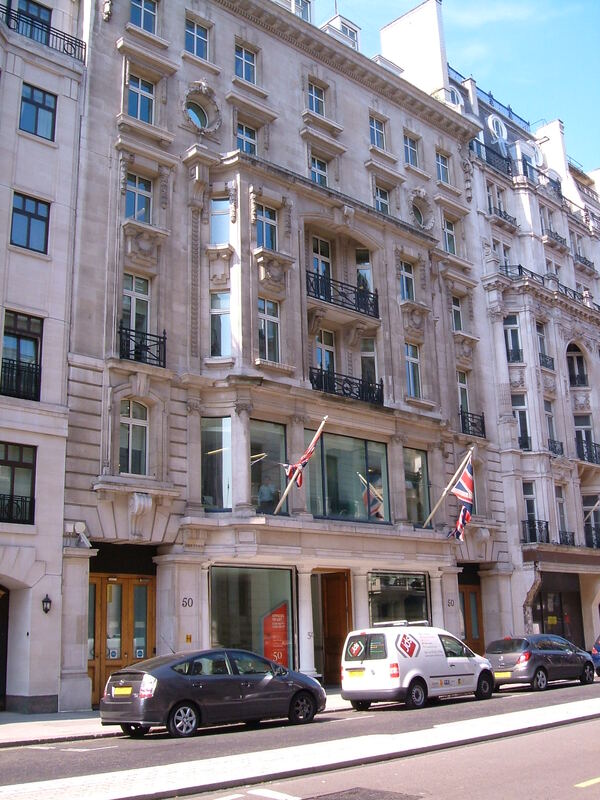 The Club was housed in Pall Mall but the building was destroyed in WWII and we will find its new home in St James’s Street in a later post. 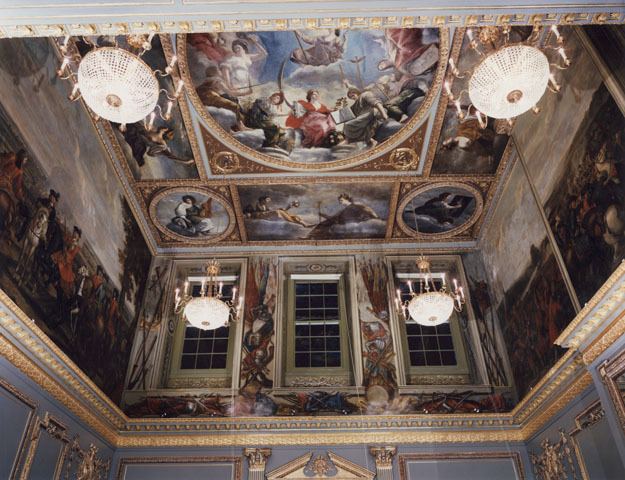 The Duke of Buckingham’s mansion was at 91 Pall Mall and was named for the first Marquess of Buckingham, who inherited from his uncle. It had previously belonged to the Pitt family. 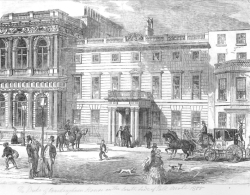 The family sold the house in 1847, and it was demolished in 1908 to build the Royal Automobile Club, 89-91 Pall Mall. 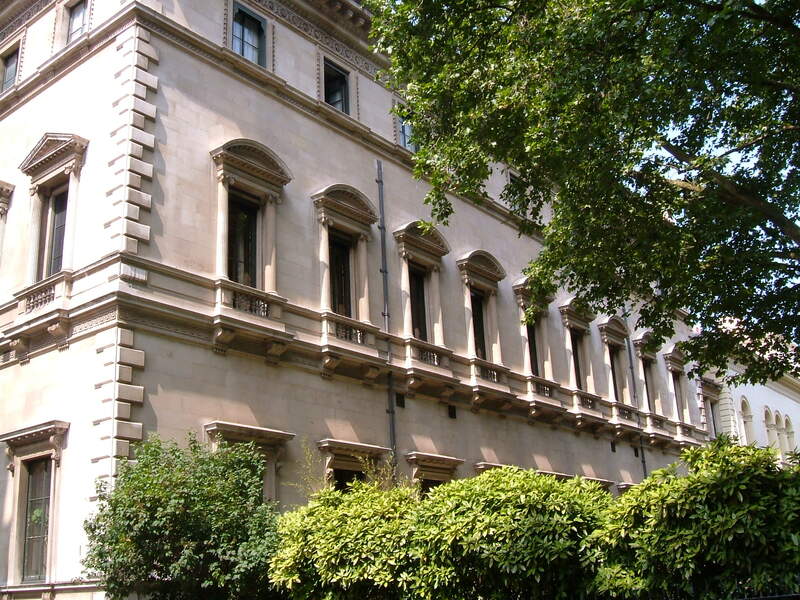 The grand mansions include The Duke of Schomberg’s mansion, now nos 80, 81, and 82 Pall Mall. The building dates from 1694 was the home of Meinhardt Schomberg, the 3rd Duke of Schomberg, and a General in the service of Prince William of Orange. Amongst other commands, he was second-in-command at the Battle of the Boyne in 1690. 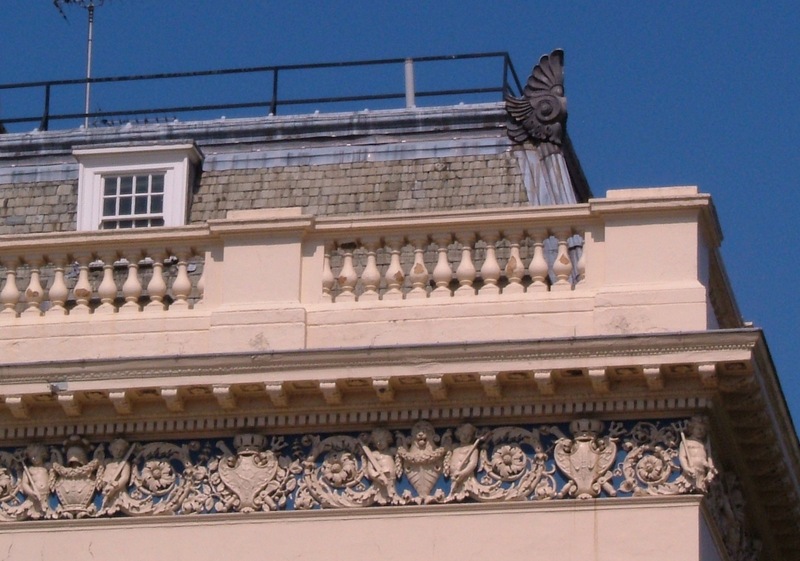 His hunting lodge, Hillingdon House, also has an interesting history. 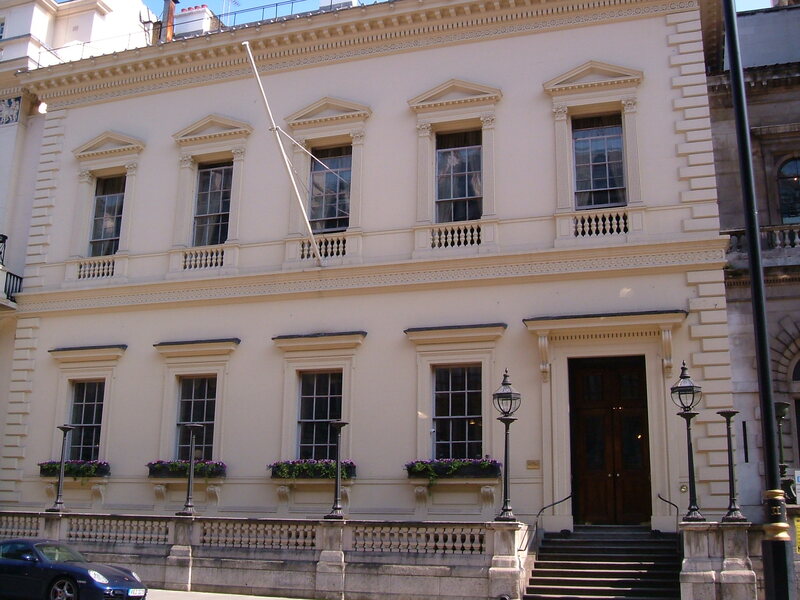 The Oxford and Cambridge Club, 71 Pall Mall, another Greek lookalike building, was designed Sir Robert Smirke in 1837 for an obvious membership, with women admitted as full members from 1996. 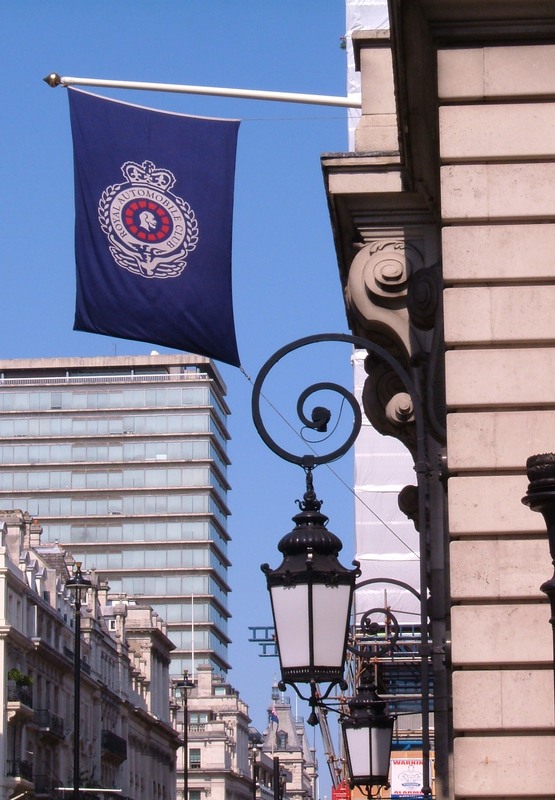 The Army and Navy Club, 36-39 Pall Mall, is known as ‘The Rag’ and was founded in 1837. It was the first of the clubs to admit women members, at the turn of the last century. 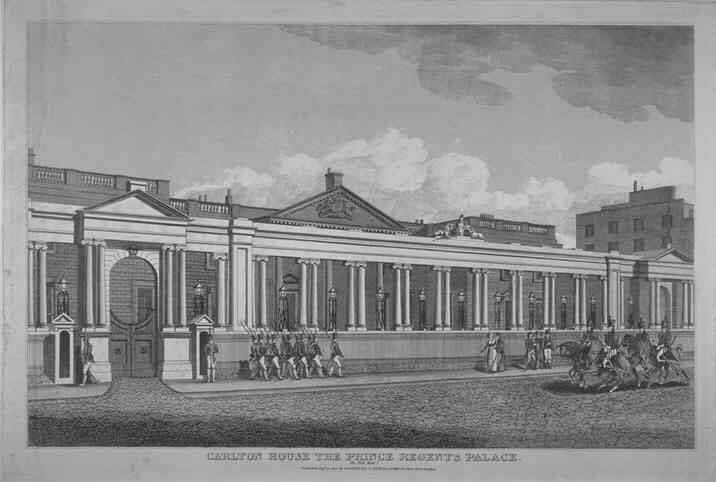 The original building of 1848 by Parnell and Smith was apparently modelled on a Venetian Palazzo. The current, hideous, building dates from the 1950s and the Club’s website tells us nothing about the architect. 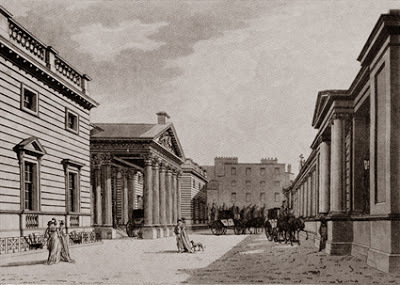 Robert Vernon (1774–1849), 50 Pall Mall, made his fortune by supplying the British army with horses during the Napoleonic Wars. He was also an art collector and on his death left 157 masterpieces to the nation, eventually split between the Tate and National Galleries. 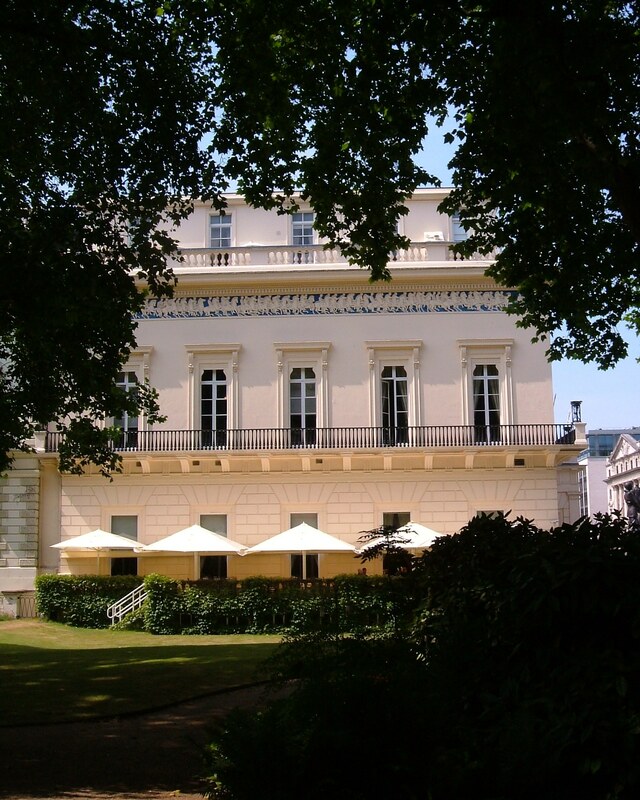 His country home was Ardington House – this was a man with immense wealth. 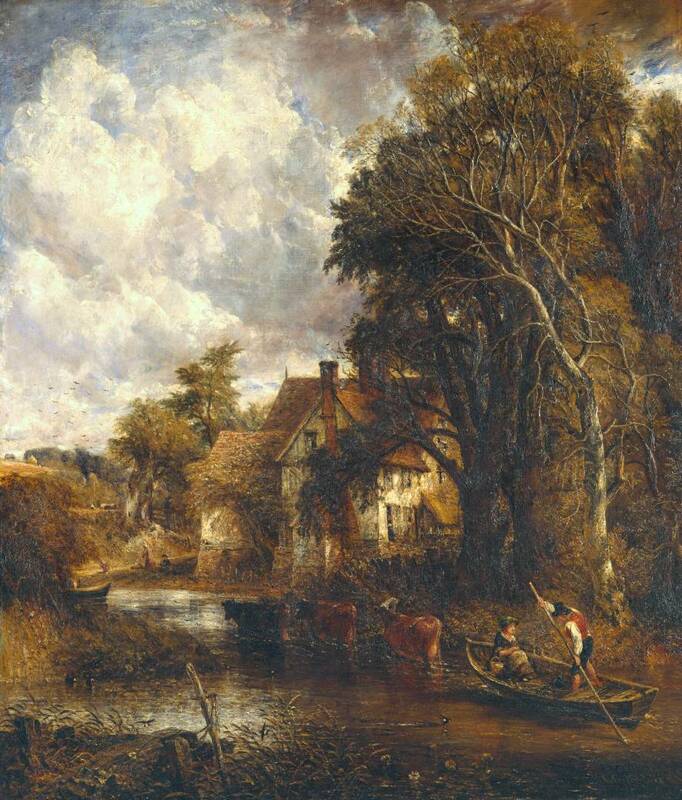 His commissions included the Constable below, for which he paid £300, for his home at 50 Pall Mall. 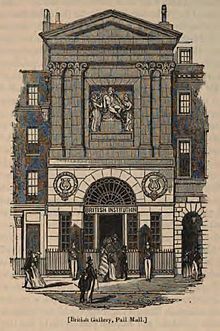 The Society of Painters in Water Colours (now the Royal Watercolour Society) was founded in 1804 and is the oldest watercolour society in the world. 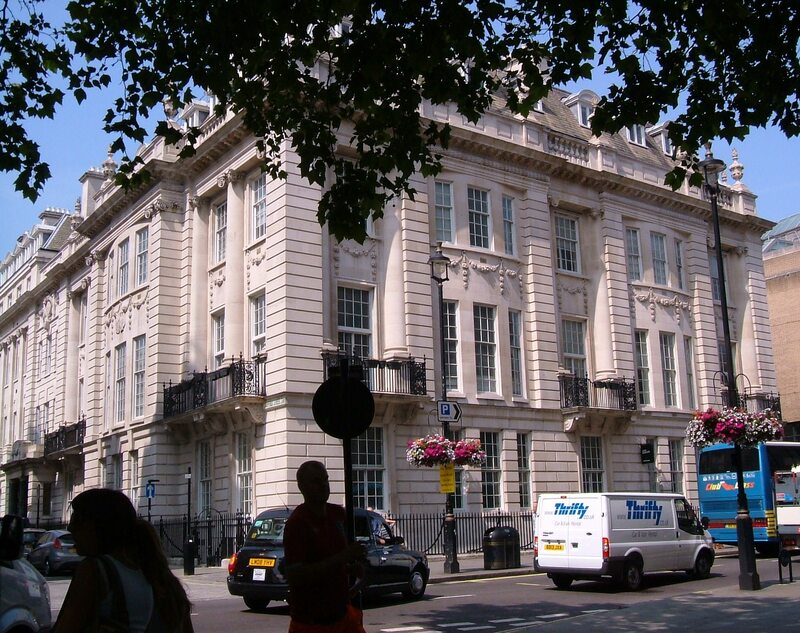 It was housed at no.53 Pall Mall. 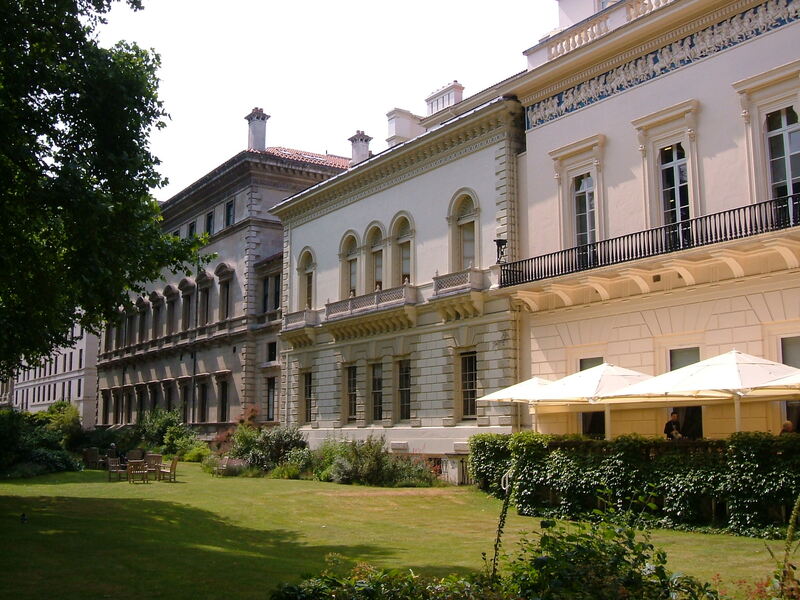 Marlborough House was built for the Duke of Marlborough by Christopher Wren in 1711. ‘.. It later became a Royal Palace in the early nineteenth century. 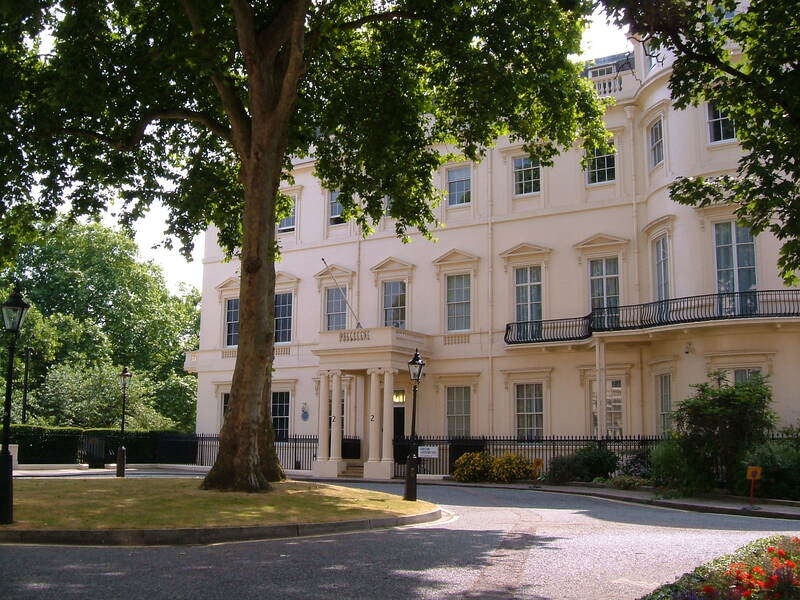 It was the birthplace of George V and the widowhood homes of Queens Alexandra and later Mary. 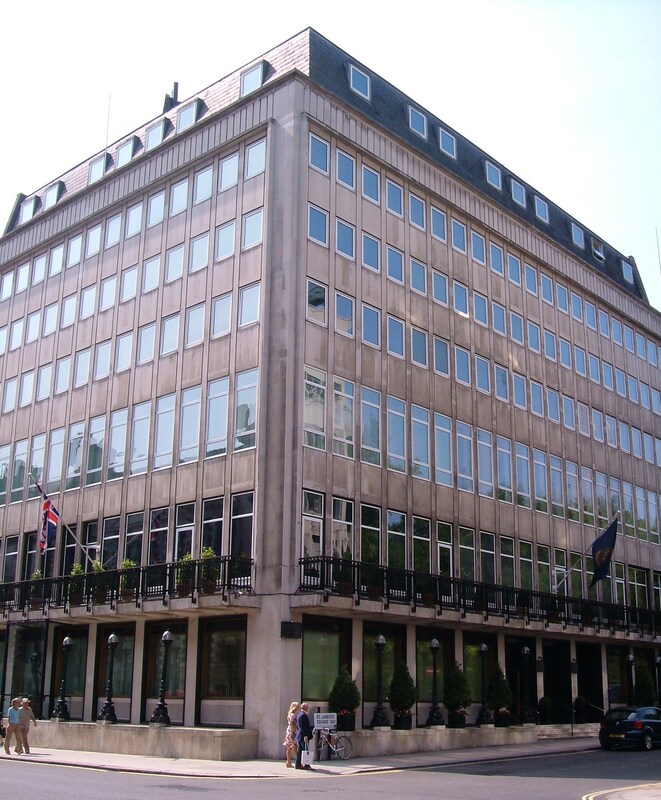 Since 1965 it has been the headquarters of the Commonwealth Secretariat and a frequent meeting place for Commonwealth conferences.’. And that brings us to the end of Pall Mall, but before slipping away I would like to take you to a quiet corner, in Carlton Gardens.